For years, residents and travelers just passing through the state have wondered about the mound and large, white shell at the southeast corner of the intersection of Interstates 35 and 40. The American Indian Cultural Center and Museum broke ground a decade ago, but since then delays and funding problems have stalled the museum. Construction was officially suspended in 2012. But $25 million funding plan making its way through the state legislature may finally resolve the issues. Adam Brooks, the managing editor of The Journal Record newspaper, said the $25 million bond proposal is designed to be enough money to complete construction and get it open. It would also transfer the site's land back to Oklahoma City, and put the city in charge of it. "The deal requires an agreement with the city, including the state getting a portion of revenues above a certain amount so that it could pay off the bond more quickly," Brooks said. "It also gives the city the right to develop the land around the museum starting now so it could begin generating revenue. There are a few restrictions on that including that no gambling could go on in that area." City manager Jim Couch told reporters this week Oklahoma City leaders weren't involved with negotiations or the development of the proposal, and it was merely presented to them. The Journal Record's Dale Denwalt reports Couch said the Oklahoma City Council now has to look over the bill, possibly with the help of an outside consultant. “One of the things we need to do is determine whether the $25 million that they’re offering is enough to finish the facility properly,” he said. Couch said running a museum is not the city’s core responsibility. Still, one of the options written into the bill allows the city to contract with a private firm to run all or part of the AICCM. The city has already committed to sending $9 million to the museum’s completion fund. A provision of the bill requires that expenditure to be a part of the agreement. Other nonstate contributors have promised money for the museum, and Couch said the city will have to verify if those promises will be kept. Brooks said the bill calls for an agreement by January 15, 2016, and House Speaker Jeff Hickman said this bill is the last chance to do finish the museum. "We're not really sure what happens if it doesn't pass," Brooks said. "We know that right now the state is paying maintenance and security on the land, so maybe that's just what would continue." 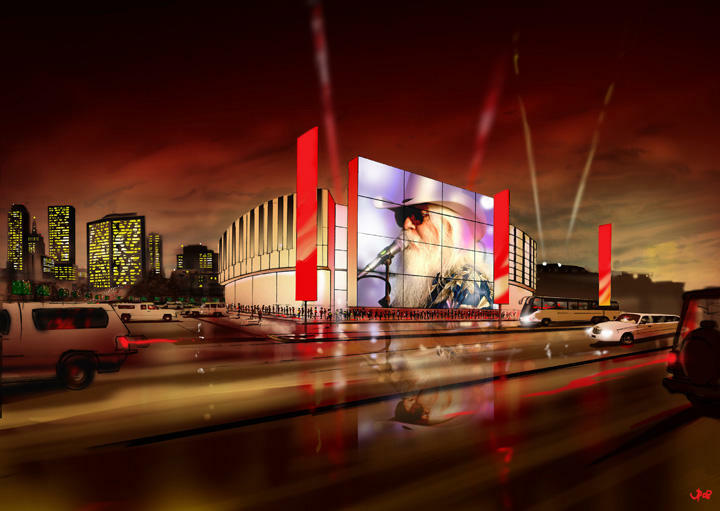 An artist's rendering of the proposed Oklahoma Museum of Popular Culture (OKPOP) in Tulsa. This week lawmakers also advanced a separate $25 million proposal for the Oklahoma Museum of Popular Culture in Tulsa. Couch said it's curious the state is willing to run a museum in Tulsa that hasn't even broken ground yet, but reluctant to support a museum in Oklahoma City that's two-thirds completed. "One of the differences is that this would be run by the Oklahoma Historical Society, which is an established, existing, well-functioning organization," Brooks said. "But really, one of the bigger differences is that the state has already sunk millions and millions of dollars into the American Indian museum, and this is a one time thing for OKPOP." On Monday Oklahoma Historical Society executive director Bob Blackburn said the agency has the "perfect budget" and business plan for the museum that will be in downtown Tulsa's Brady Arts District. "Donated land, donations from the private sector to match investment from the state," Blackburn said. "We can pay 100 percent of operational expenses, and we can make this thing work and get it open by the fall of 2018." Brooks said the bond debt from funding the museum wouldn't be part of the state budget, since it doesn't come from general revenue, and thus won't take away from core services. The sales tax generated from the museum is expected to pay for its annual bond debt.